Chelsea ace, Eden Hazard has identified former Blues star, Joe Cole, as the player that convinced him to signed for the Stamford Bridge club. Hazard said he spoke with Cole before he joined the West London club from Lille back in 2012. According to the Belgium international, Cole, who earlier today announced his retirement from football, kept advising him that Chelsea was the best club for him. Recall that Cole on Tuesday announced his retirement from football. “I spoke to Cole before I signed for Chelsea,” Hazard told Chelsea’s official website. “He said Chelsea was a big club where you can win trophies every season. 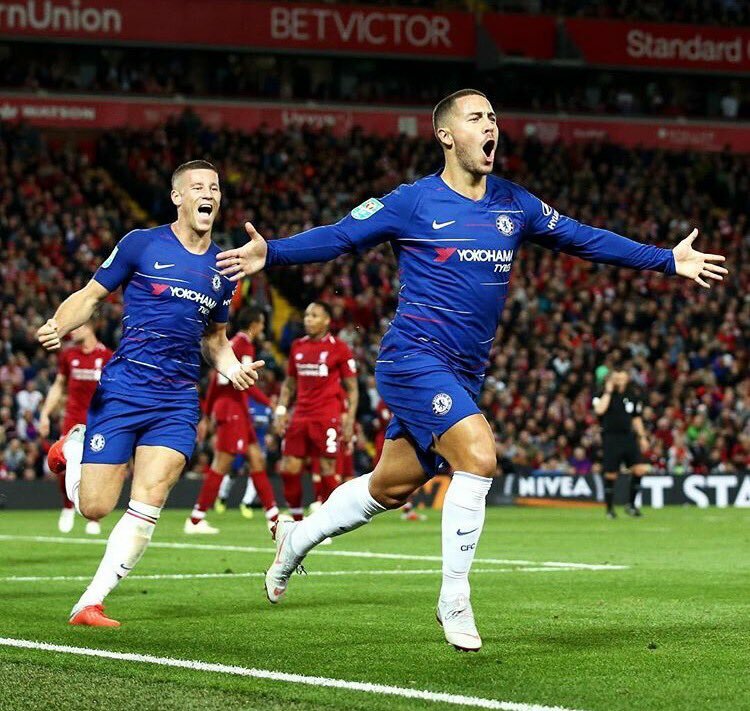 Hazard has been on top form under manager, Maurizio Sarri, this season. He is currently the Premier League top goal scorer this term. The forward will hope to lead Chelsea to victory when they take on Crystal Palace on November 24.